This Top Handle Bags Made of High Quality Denim and Leather. The Exterior Features: Two Sides Zipper Pocket and 1 Back Zipper Pocket. 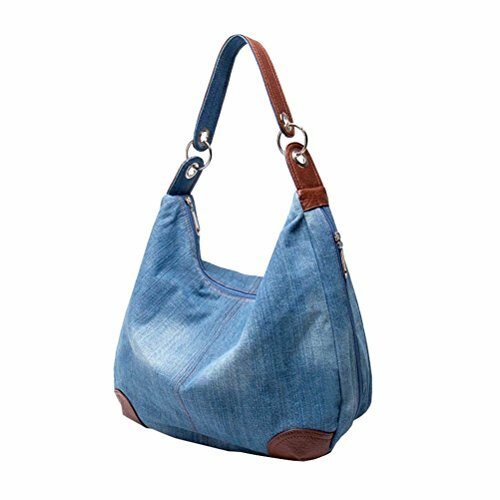 Material: High Quality Denim and Leather Hobo Tote Womens Purse Handbag,the Hardware is Silver. Easily carry your book, mobile phone, wallet, cosmetic, umbrella and other daily things. If you have any questions about this product by Ichic Boutique, contact us by completing and submitting the form below. If you are looking for a specif part number, please include it with your message.